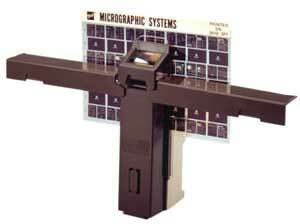 This low-cost microfiche reader makes a handy and hard-working on-the-job companion. 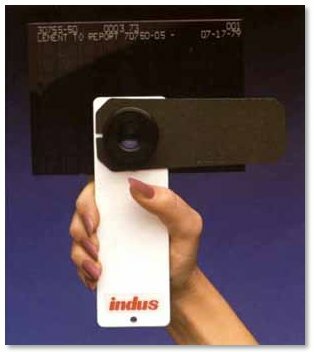 The 456-113 Hand-Held Viewer provides instant access to information anywhere . . . at home, the office or in the field, for viewing data up to 24x, source document or aperture cards. This maintenance free viewer is ready to use when you receive it and allows you to view an image from any position without encumbrances like sunlight or power cords. Illumination Source: Intended for use with ambient light. Optional battery operated light adapter is available. 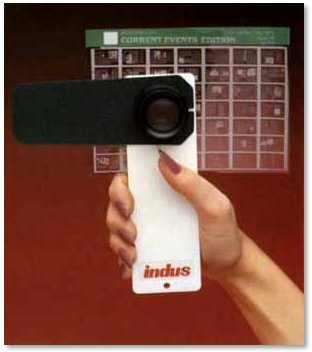 The 456-120 Hand-Held Viewer provides access to the information you need when you need it where you need it . . . at home, the office or in the field, for viewing 42x and 48x reduced COM fiche. This maintenance free viewer is ready to go — no setup and allows you to view an image from any position. The Elite Hand-Held Viewer provides instant access to information anywhere . at home, the office or in the field for viewing data up to 24x source document or aperture cards. This maintenance free viewer is ready to use when you receive it — absolutely no set up and allows you to view an image from any position without encumbrances like sunlight or power cords. 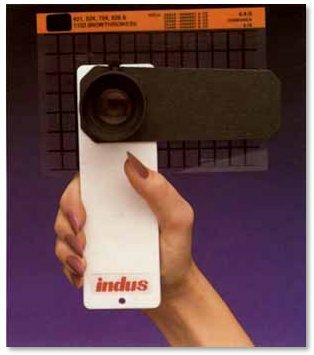 This low-cost handheld microfiche reader makes a handy and hard-working on-the-job companion. The macrovision II goes where you go for immediate information retrieval. It operates on ambient light, internal batteries, 120 volt AC or 12 volt vehicular 12 volt DC.